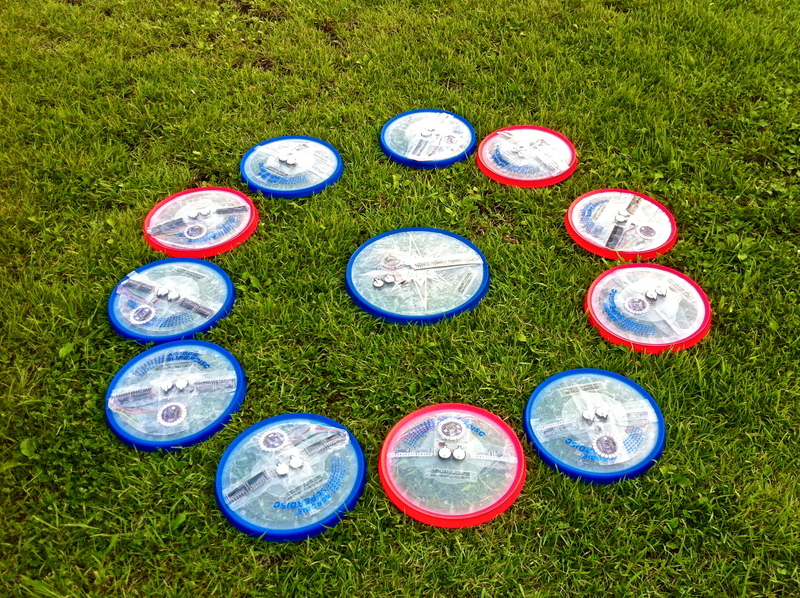 The third version of Body Graffiti is not actually a wearable for the performer but an object that anyone can perform to throw. By physically throwing “words”, they are embodying exchange of a short communication or miscommunication. For the newest variation of “Body Graffiti,” the context of exchanging meaningful message would matter heavily. The audience would be catching the moment of movements and remains of its prior existence; the existence of the brief visual text message created by blinking LED lights a brief moment ago. This project is to demonstrate the physical form of communication of textual words through bodily movement, throwing and catching among two participants. The context of displaying texts were carefully picked to be verbally inappropriate words to exchange (within cultural aspect.) 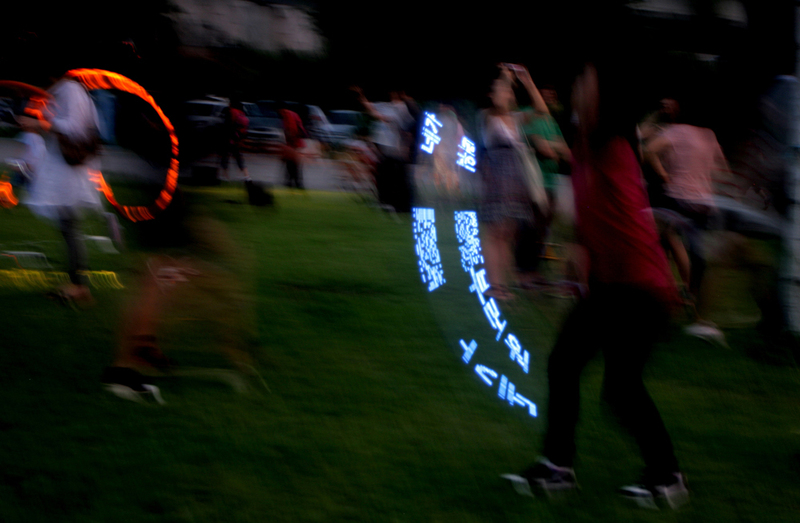 The project, “Throw & Catch (words)”, has been first exhibited, and performed at one of the public parks near Han River in Seoul, Korea during late August 2011.